For KCA-type injection nozzles 27 mm. Special relief to accomodate the return leakage tubes. 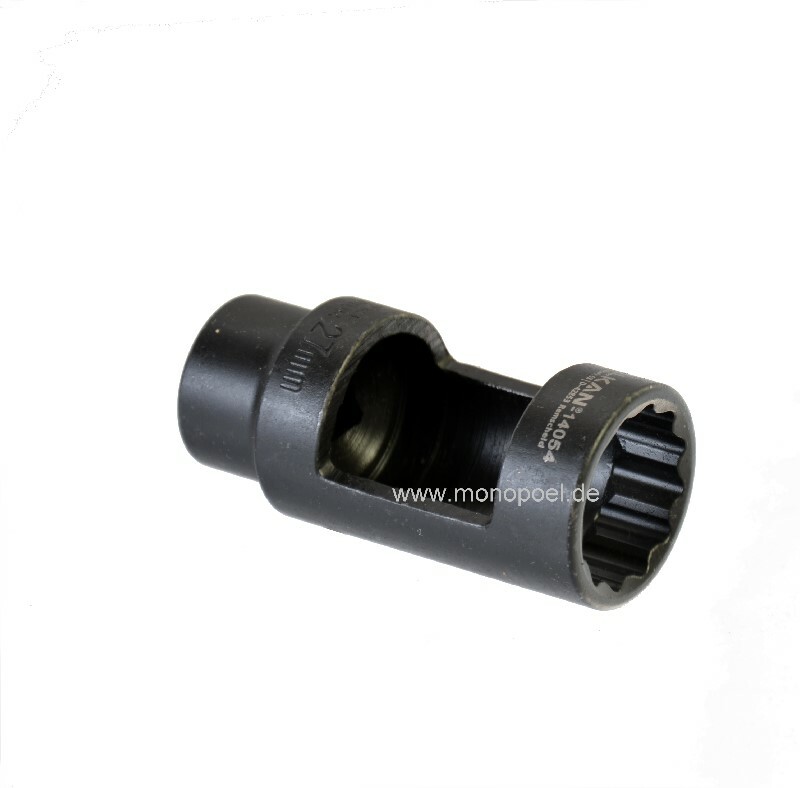 For injection nozzles on Mercedes-Benz Diesel-engines 604, 605, 606 please use w-dn-22 !